Does You Kid Need A Personal Trainer? With childhood obesity rates increasing and physical fitness classes decreasing, many concerned parents are turning to personal trainers not only for themselves but also for their kids. The latest statistics from the American Obesity Association showing 30 percent of children aged 6 to 18 are overweight, and another 15 percent are obese. It's not surprising that parents are seeking new ways to combat the growing trend. Are Personal Trainers for Kids the Solution? It may not be the solution for every child, but for some kids, a personal trainer can be a great way to learn healthy behaviors that will last a lifetime. It's also a great way for an overweight child to get some immediate results and reinforce the benefits of fitness. Given that childhood obesity predicts adult obesity with amazing accuracy, a good sports parent is wise to encourage healthy habits early. A personal trainer can be another way to provide direction, structure, and strategies that help create a habit of healthy living that can have a tremendous impact on a child's life. Another reason some parents hire personal trainers for their kids is to improve sports performance and sports skill training. 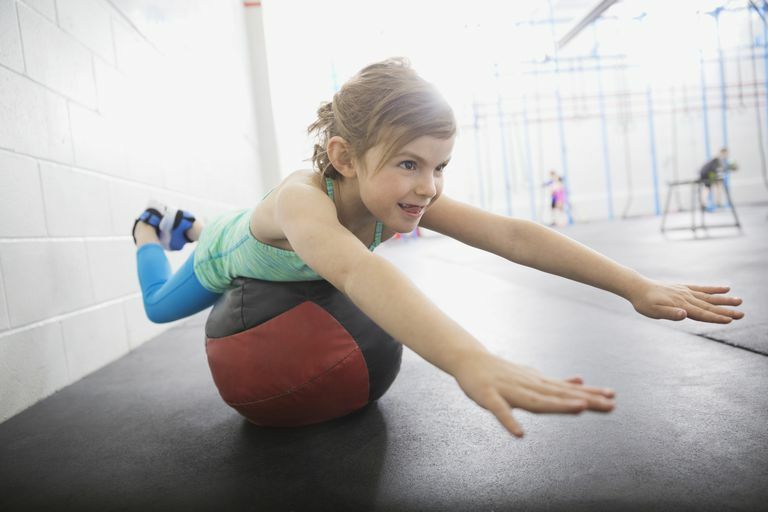 According to the American Academy of Pediatrics, kids as young as 8 years old can benefit from low-resistance exercise with small weights and actually grow stronger with little risk of injury. Is a Personal Trainer Right for Your Child? What Kind of Personal Trainer Is Best for Children? The trainer should offer a balanced routine of strength, cardio, and core exercise. Ask questions about the trainer's philosophy about working with kids and setting goals and make sure you agree with the approach. As a parent, you need to be patient and encouraging for your child to get the most of the sessions. To improve motor skills, speed, and coordination, children need to work with a trainer once or twice a week for three to four months before they develop a habit of exercise and be motivated to stay active on their own. For kids to develop a new lifestyle takes time, and the goals of you, your child and the personal trainer need to be realistic and modest.